Biocon Foundation, the CSR arm of Asia's premier biopharmaceuticals company, Biocon, joined hands with the Government to hold screening camps at the Vidhana Soudha for early detection of Cervical and Breast cancer as a part of its drive against cancer, aimed at sensitizing women on the need of early detection of this disease which can enable early treatment and better outcomes. Dr Suchitra Bajaj of Biocon Foundation led the initiative of organizing this health camp, held at Vidhana Soudha on Jan 16 and 17, 2017, where over 150 government women employees were screened with support from medical teams from Mazumdar Shaw Cancer Centre and Narayana Health (NH). 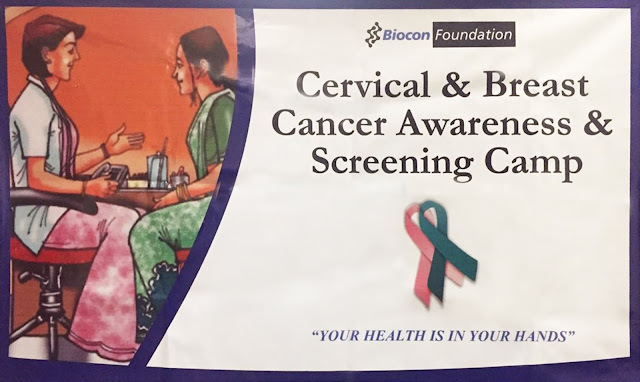 Biocon Foundation has been holding screening drive for early detection of Cervical, Oral and Breast cancer as a part of its healthcare initiative across various districts in Karnataka. An expert medical team conducted ‘Pap smear’ test for cervical detection and iBE (Intelligent Breast Exam) for breast health examination, followed by a ‘Mammogram’ test for relevant women conducted at the mobile mammogram unit of NH. The two day screening drive is a part of Biocon Foundation’s sensitization program aimed at creating much needed awareness on the significance of early detection of cancer among women personnel. Talking about the initiative, Mr KB Koliwad, Honorable Speaker of Karnataka Legislative Assembly opined, “I am extremely grateful to Biocon Foundation for rendering diagnostic screening services to women at Vidhana Soudha. This initiative by Foundation has certainly created awareness about lifestyle changes to be adopted by women to lead a healthy life. We need active participation of more NGOs and corporates to come forward and actively engage in providing preventive healthcare services. I extend my best wishes to the Foundation for providing similar services to more underprivileged sections of the society. 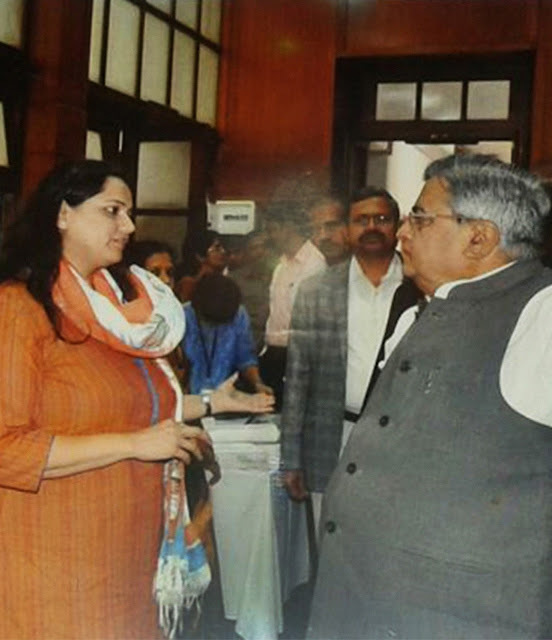 A delegation led by Ms. Vinisha Nero, Member of the Karnataka Legislative Assembly, Ms. Shashikala Bhat, Joint Secretary, Karnataka Legislative Assembly Secretariat and Mr. Murthy, Secretary, Karnataka Legislative Assembly Secretariat facilitated the screening camp in Vidhana Soudha for their women employees. In India, Cervical Cancer ranks as the 2nd most frequent cancer among women. With the highest global burden of Cervical Cancer in India, the need is to expand the quality screening coverage across the country to save women suffering from the disease. As per NFHS 4(2015-16), only 13.7% of the urban women and 17% of the rural women have undergone cervical examination in Karnataka. According to the National Cancer Registry Data, 92,731 cases of cervical cancer were reported in India in 2013, a figure that is projected to go up to 1, 00,479 in 2020. India is experiencing an unprecedented rise in the number of breast cancer cases across all sections of the society. It is the most common cancer among women in India. In 2015, an estimated 1, 55,000 new cases of breast cancer were detected and about 76,000 women are expected to die of the disease, as per WHO. Biocon Foundation has been making an enduring impact in enabling social and economic inclusion through its health, education and community development programs, for over a decade now. We have endeavoured to create a comprehensive and integrated ecosystem that can deliver affordable and effective healthcare to underserved rural and urban communities in India. Our efforts in education have been directed at improving the quality of education primarily in rural schools. As a part of community development, we have built townships and schools besides providing sanitation and water supply facilities that can fulfil the basic needs of rural communities. In doing so, we have created a smart Corporate Social Responsibility (CSR) model that is viable and scalable.